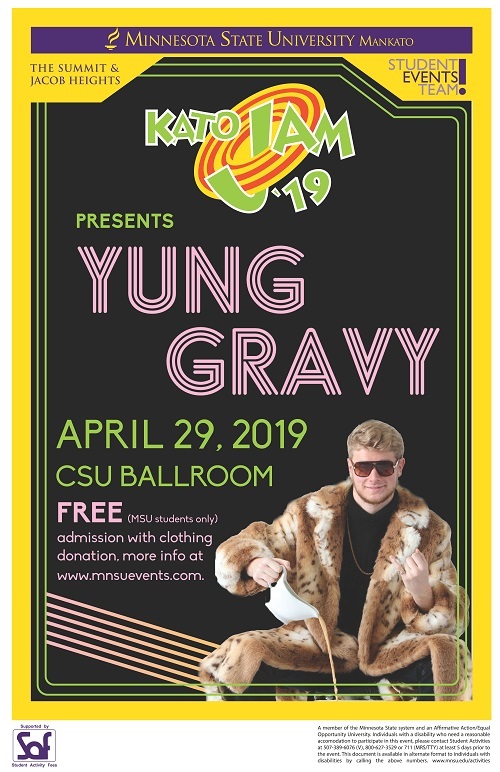 Kato Jam Tickets: Limited to MNSU Students ONLY. In person only beginiing April 22 - Student Activities Desk or Summit and Jacob Hieghts - Must donate a clothing item. No events currently on sale.